Fossils belonging to mussel shells and snails that are believed to be dating back millions of years have been discovered in eastern Turkey's Muş province, media reports said Friday. Residents of the Yedikavak village located 10 kilometers (16 miles) away from the Varto district center found the fossils that were revealed after snow in the region started to melt with rising temperatures. A team of researchers from Muş Alparslan University (MŞÜ) went to the area, which was located 650 meters above sea level, after locals informed them about their findings. 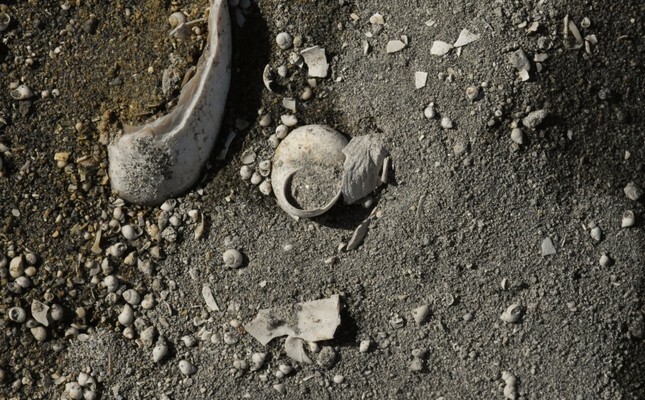 The initial examination revealed that the fossils belonged to the Middle Miocene period and were from the Acısu Lake that once covered the area from today's Muş plain to Van province. Leading geomorphologist Iskender Dölek told Anadolu Agency that they found through carbon tests and paleontological age determination methods that the fossils date back to approximately 11 million years ago, adding that this discovery is important for the geological history of Anatolia. Dölek said that there are also some microfossils beside the mussel shell and snail fossils, adding that those are important "in terms of paleopedological and paleo geomorphological conditions of the region." The scientist noted that they hope to attract tourists to the region with the help of the new findings as people have recently started to prefer more natural environments than touristic destinations, adding, "We expect people who love adventures and nature, who want to make a discovery to come and see this place."